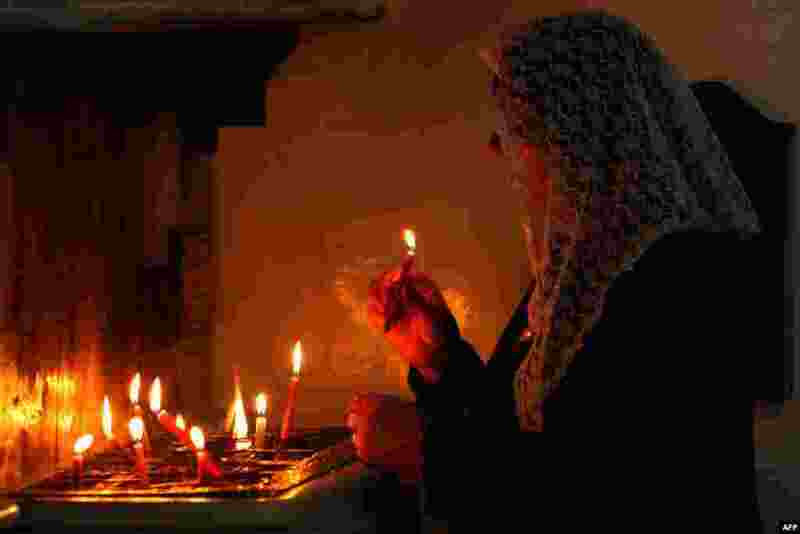 5 A Syrian Christian woman lights candles during a Good Friday mass at the Syriac church of the Holy Virgin in the northeastern city of Qamishli, during Easter celebrations. 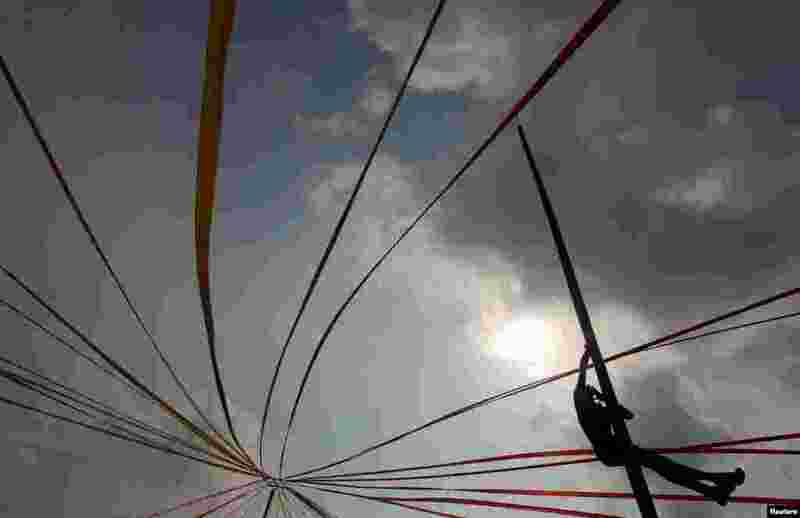 6 A man climbs up a greasy pole in a climbing competition as part of traditional festival games to celebrate Sinhala, Hindu and Tamil New Year in Colombo, Sri Lanka. 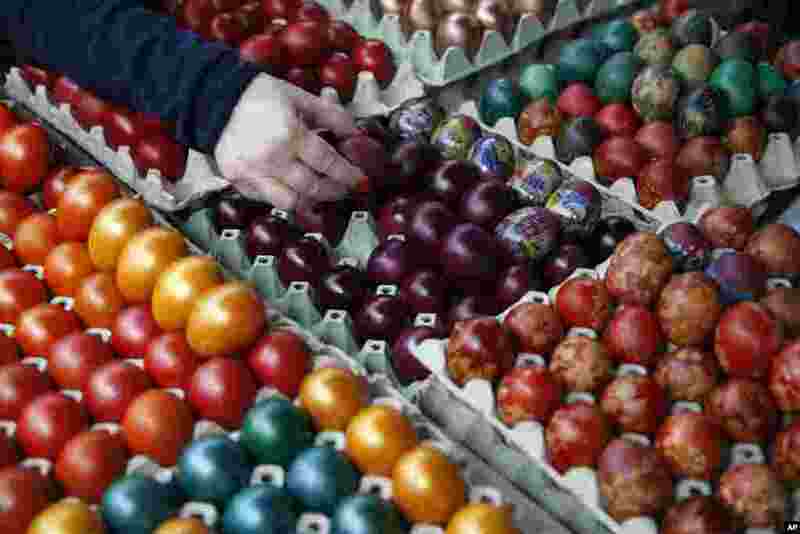 7 A buyer chooses hand decorated Easter eggs at a market in Belgrade, Serbia. Orthodox Serbs celebrate Easter on April 16, according to old Julian calendar. 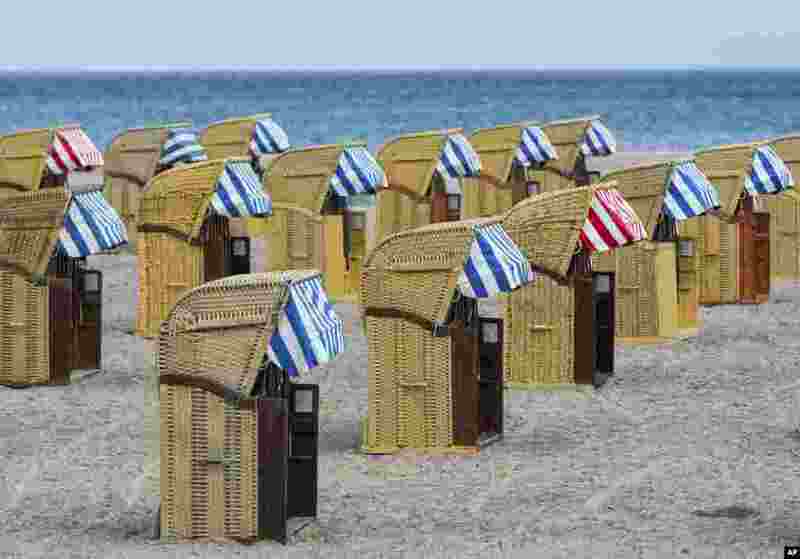 8 Empty beach chairs are placed on a beach near the Baltic Sea town of Travemuende, Germany.